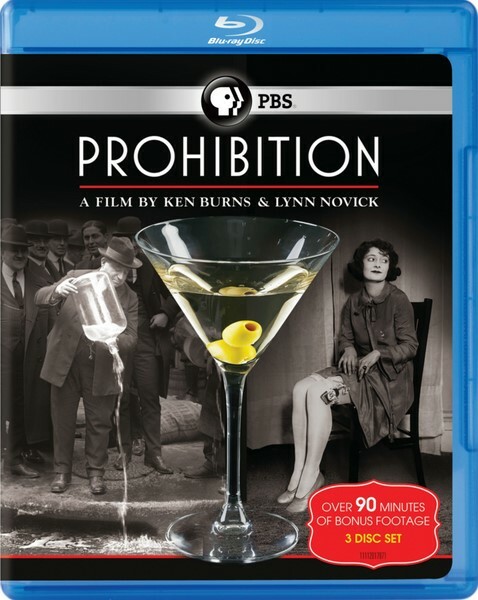 OVERVIEW: Ken Burns’s and Lynn Novick’s engaging, entertaining and enlightening documentary about the rise and fall of the 18th Amendment debuts on Blu-ray and DVD when PROHIBITION arrives on October 4, 2011 from PBS Home Video and Paramount Home Entertainment. A fascinating story that goes beyond the oft-told tales of gangsters, rum runners, flappers and speakeasies to raise profound questions about the proper role of government, individual rights and responsibilities, PROHIBITION delves deep into how a society founded on individual freedom became a nation of scofflaws and hypocrites. Told through expert interviews, vintage footage and compelling images, the five-and-a-half hour film explores how the enshrining of a faith-driven moral code in the Constitution paradoxically caused millions of Americans to rethink their definition of morality. 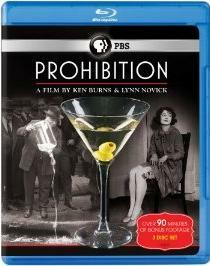 PROHIBITION is narrated by Peter Coyote and features voiceovers by Patricia Clarkson, Blythe Danner, Paul Giamatti, Tom Hanks, John Lithgow and Oliver Platt. The Blu-ray and DVD both include over 90 minutes of additional footage, including a behind-the-scenes look inside the studio with Ken Burns and Lynn Novick, bonus scenes and interview outtakes. BLU-RAY: The film is presented in 1080P widescreen in a 1.85:1 aspect ration preserving its theatrical format. The picture is just flawless. Not only the picture looks great in this release, also the sound it is good, a English 5.1 DTS-HD Master Audio and Spanish Stereo that provides a good complement to the picture. It also includes English and Spanish, subtitles.